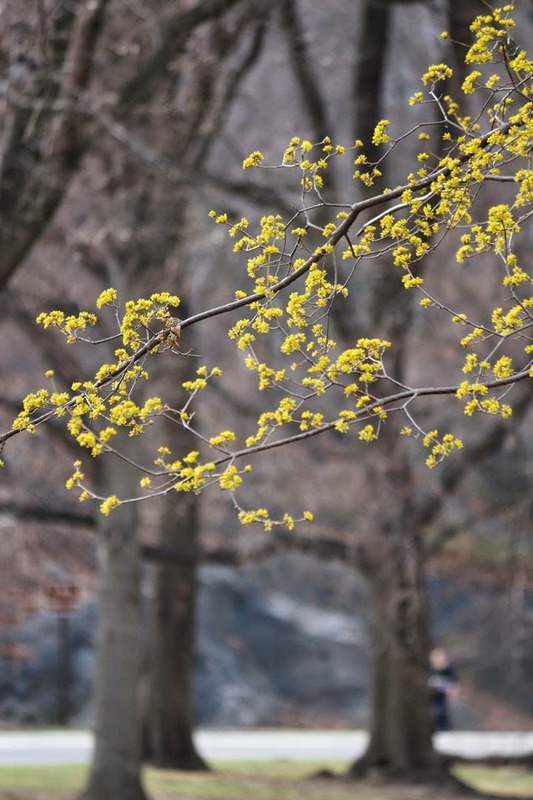 After witch hazels, the earliest blossoms belong to Cornus mas - Cornelian cherry, but a dogwood, nonetheless. This tree is at the very top of Central Park, where I walked briefly yesterday afternoon. Spring is about two weeks behind schedule. 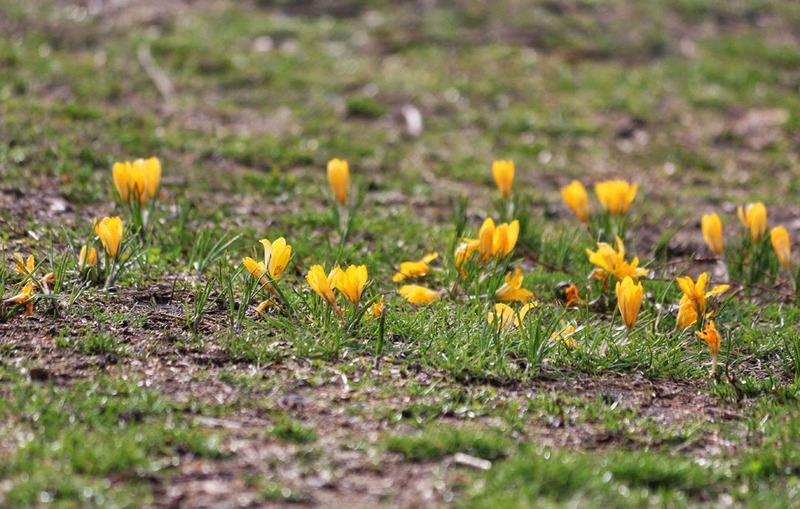 Crocuses in the grass, and birds in the still-bare trees of the North Woods. 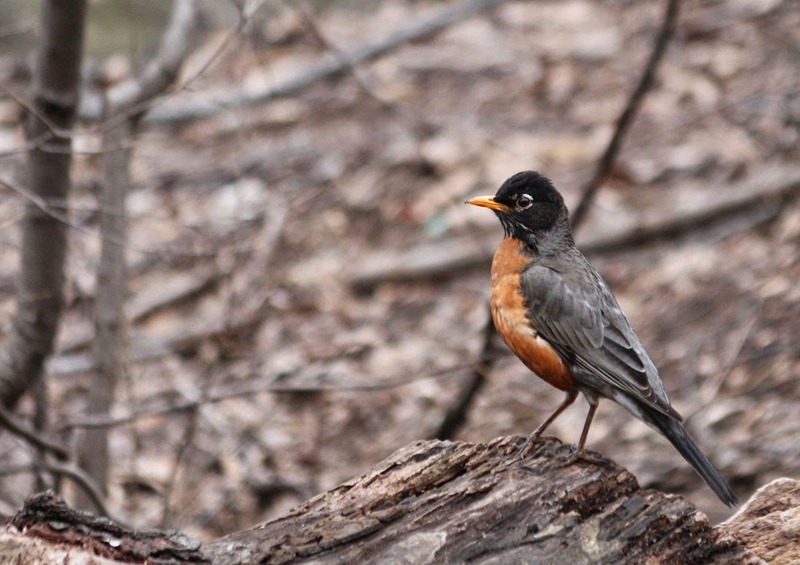 American robins. Did they stick around all winter, too? And look who woke up. 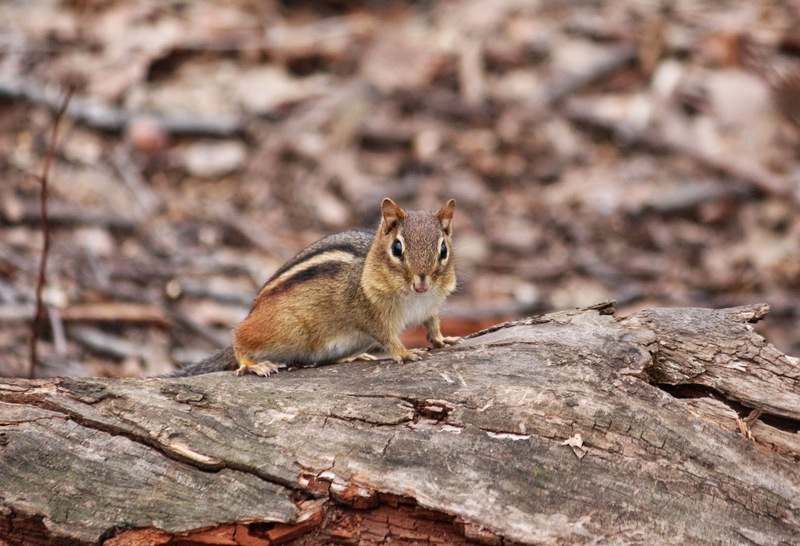 The leaf litter was alive with the peeps and rustles of chipmunks. It's funny to think of them hibernating in the park all winter long. 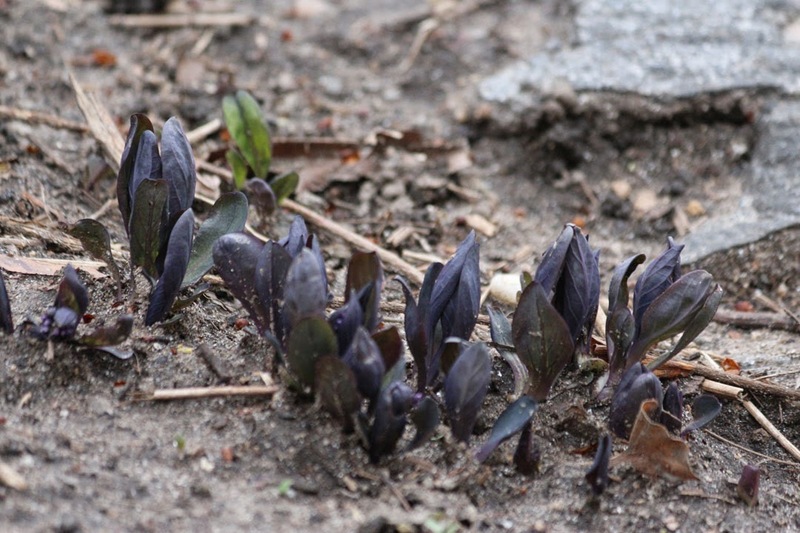 I didn't recognzie these dark blue shoots, but they were identified for me as Virginia bluebells (Mertensia virginica). I have never noticed them this early (the plant's young leaves are edible). Things will start to happen faster, now. It will be a race to keep up. I understand the Cornelian cherry fruits are edible, do you forage them? Yesterday I became aware of the electric forsythia. Hardly overnight, but then, feels out of nowhere. 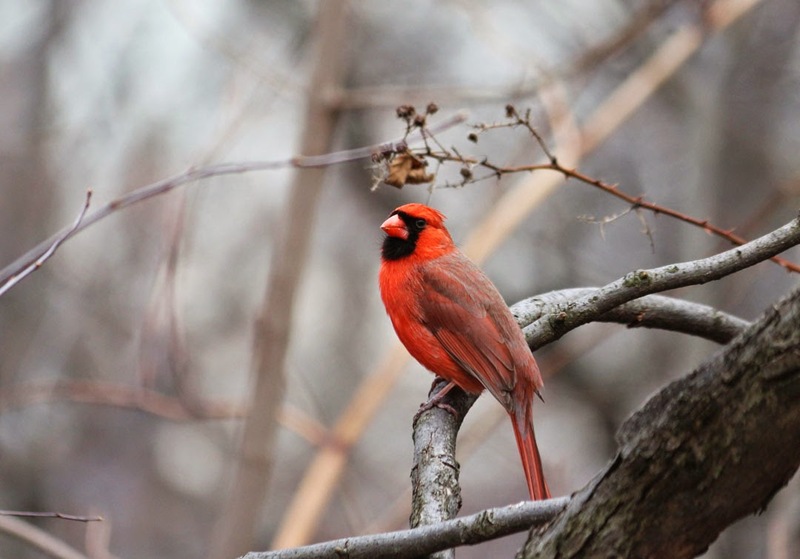 I've seen Robins all winter. And pigeons. Lots of pigeons.